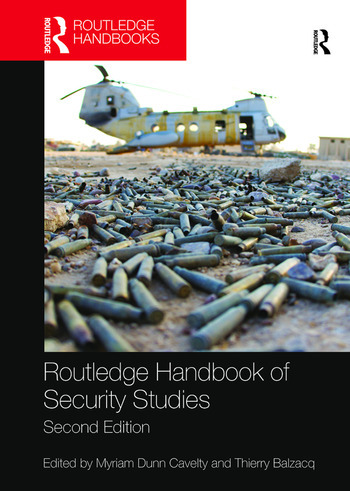 This revised and updated second edition features over twenty new chapters and offers a wide-ranging collection of cutting-edge essays from leading scholars in the field of Security Studies. This new edition of the Handbook is a benchmark publication with major importance for both current research and the future of the field. It will be essential reading for all scholars and students of Security Studies, War and Conflict Studies, and International Relations. Myriam Dunn Cavelty is Senior Lecturer and Deputy Head of research and teaching at the Center for Security Studies (CSS), ETH Zurich, Switzerland. She is the author of Cyber-Security and Threat Politics: US Efforts to Secure the Information Age (Routledge, 2008). Thierry Balzacq is Professor and Tocqueville Chair in International Relations at the University of Namur, Belgium, and Scientific Director at the Institute for Strategic Research at the French Ministry of Defense. His most recent books include Contesting Security (Routledge, 2014), and Traité de Relations Internationales (co-edited with F. Ramel, 2013).